Today I had some great news in my inbox. 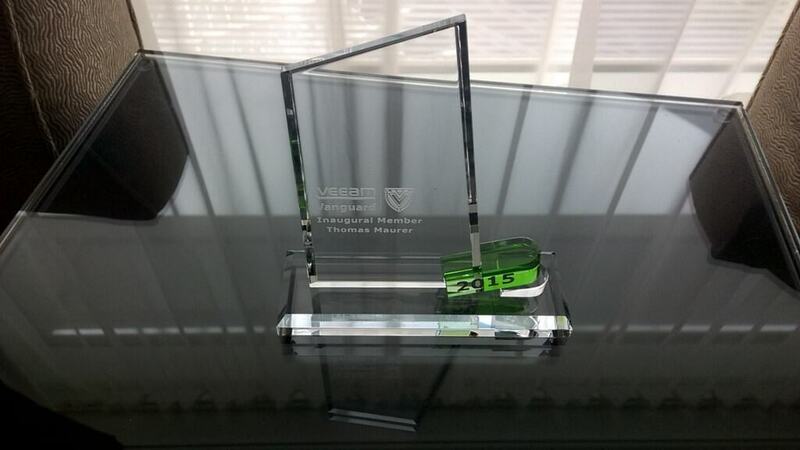 I got awarded with my second Veeam Vanguard award in a row. 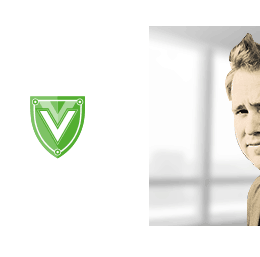 I was one of the first Veeam Vanguards in 2015 and now I am proud to receive the Veeam Vanguard Award for 2016. The Server running System Center Data Protection Manager must be virtualized. System Center Data Protection Manager must be version 2012 R2 with Update Rollup 4 (UR4) or higher. The Data Storage of the DPM Server must be VHDX Files attached to the DPM VM. DPM VHDX files need to be 1TB of size. In the hardware configuration above the recommended volume size is 7.2TB volumes. Today Microsoft announced that Microsoft Azure Backup now not only supports Windows Server or System Center Data Protection Manager, it also support Windows Clients, including Windows 7, Windows 8 and Windows 8.1. 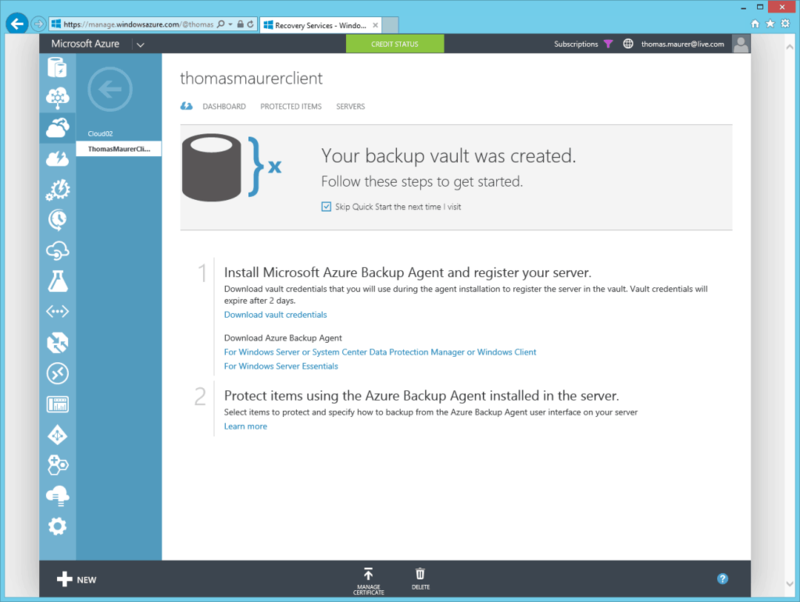 To backup your Windows Client machine you have to go to the Azure Portal and create a new Backup Vault. 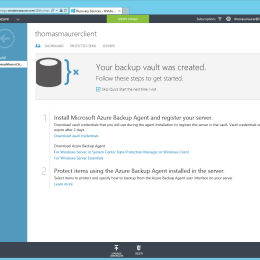 After that you have to download and install the Microsoft Azure Backup agent and the vault credentials which are needed to register the machine to your Backup Vault. 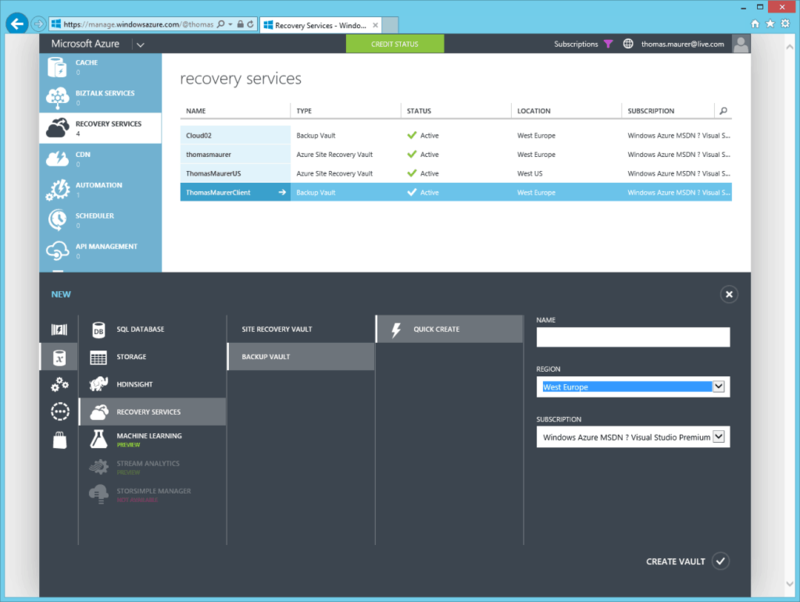 Now you can see your machine in the Azure Portal in the recovery vault. 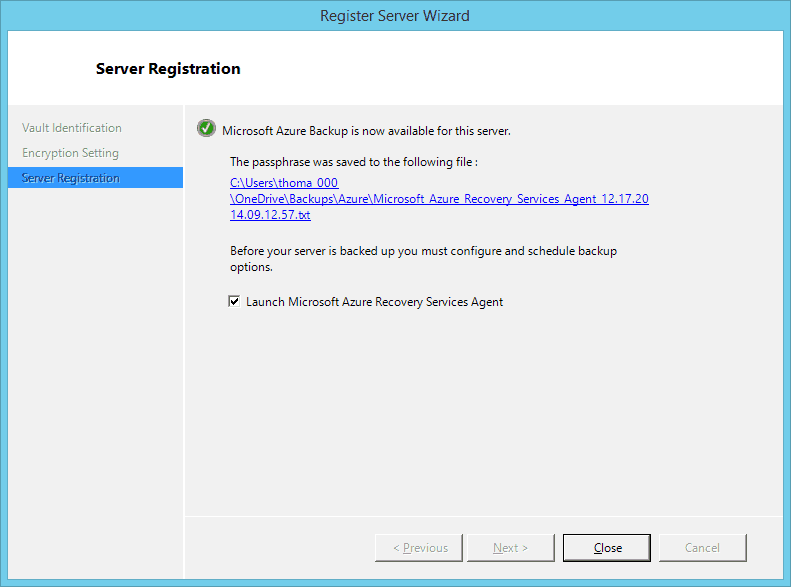 After the Agent is installed you can launch the Microsoft Azure Recovery Services Agent to configure your backup. 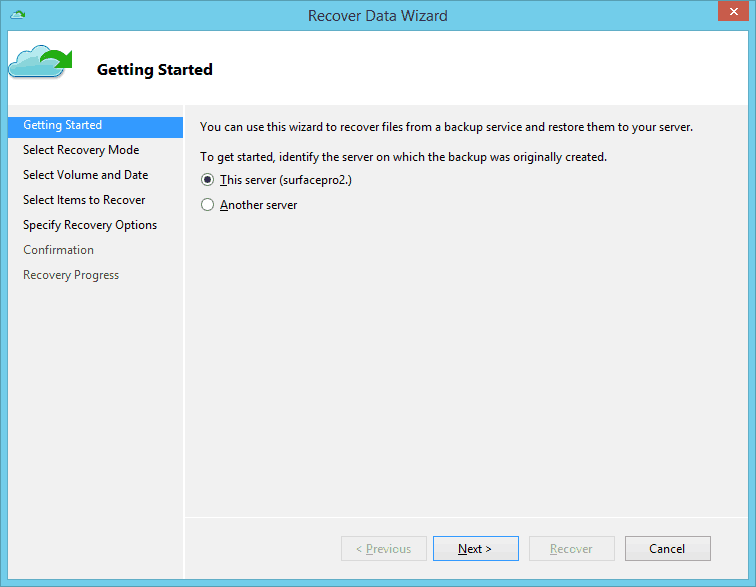 After the first Backup is done, you can also start recovering data from Azure. 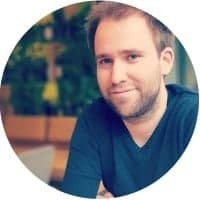 If you are running Azure Backup on your notebook or tablet, the backup will only run if the computer is not on battery mode. If your notebook is running on battery the backup will run the next time the machine is connected to a power source. 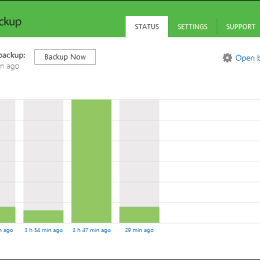 If you pick the backup time of your machine make sure the machine is not shutdown during that time. 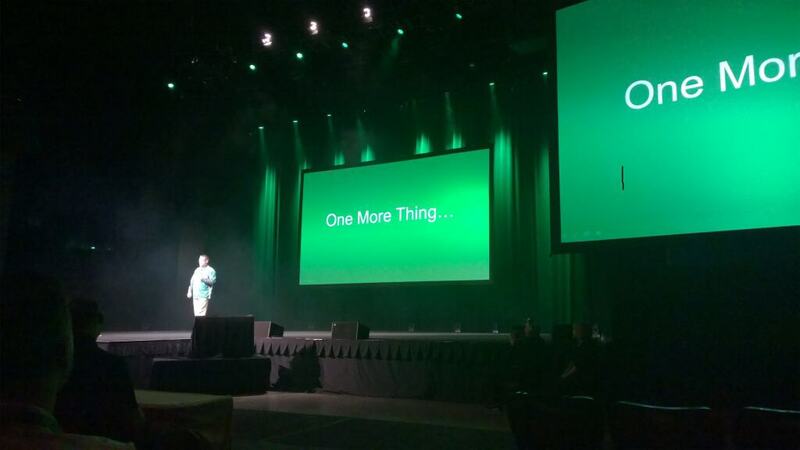 This week I had the chance to be in Las Vegas at the VeeamON 2014 conference and so far it was an absolutely great event, but I will write about that in another blog post. 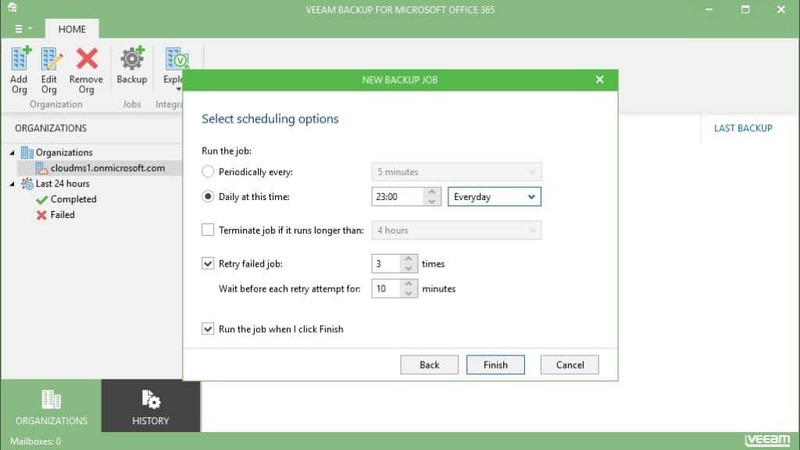 Veeam also did announce the Veeam Endpoint Backup FREE which allows you to backup not only Windows based notebooks, tablets and desktops, it also allows you to backup physical Windows Server machines, which will make a lot of people very happy. 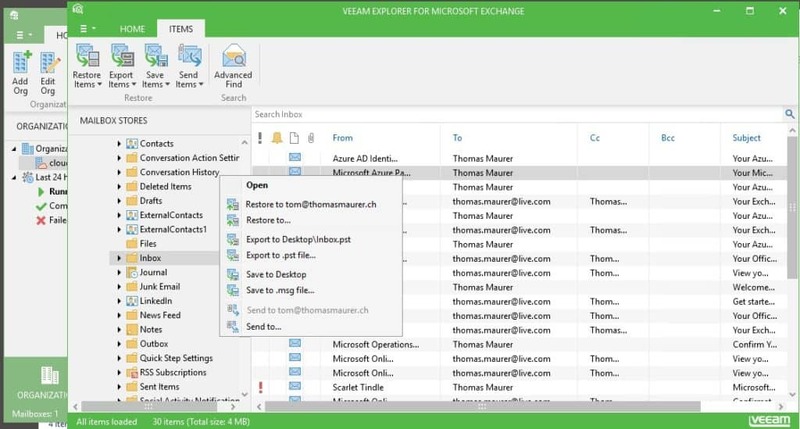 Veeam points out that this will be a free release of a standalone product which will not be integrated in to the Veeam Suite. 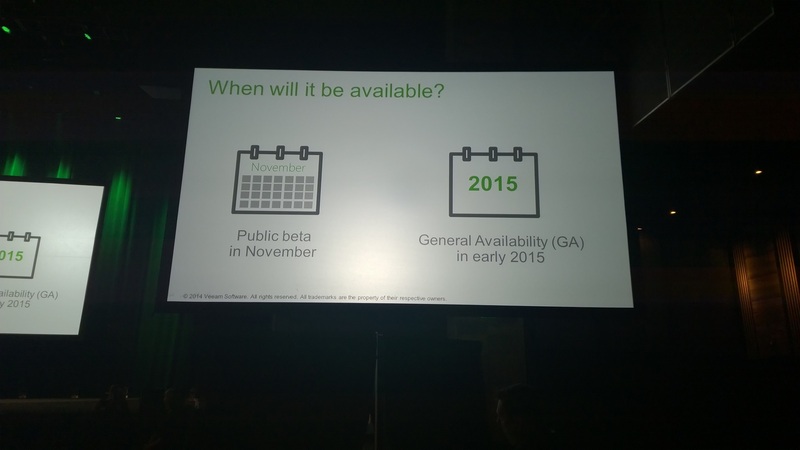 This means there will be no central management console which kind of makes it not useful for large scale deployments. 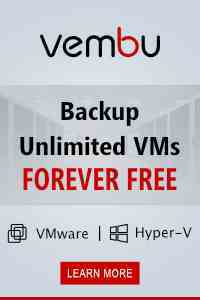 But for highly virtualized environments this can be a great solution to backup a few of your remaining physical servers. A beta version of Veeam Endpoint Backup FREE will be released in November and Veeam is looking for feedback. 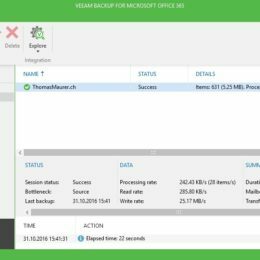 If you want to know more about it checkout Mike Resseler’s (Product Strategy Specialist for Veeam and Microsoft MVP) blog post. Today Microsoft announced that starting August 1, the will deliver the new StorSimple 8000 series hybrid storage arrays. The StorSimple 8000 series are the most powerful StorSimple systems ever and have even tighter integration with Azure, including two new Azure-based capabilities to enable new use cases and centralize data management. These new solutions demonstrate how Microsoft is bringing the best of on-premises storage together with the cloud in order to deliver bottom line savings to customers by cutting storage costs from 40 to 60% and helping IT teams focus more on business strategies than infrastructure management. The new StorSimple 8000 series arrays come in two flavors to meet a variety of capacity and performance needs: the StorSimple 8100 and the StorSimple 8600, which you can read about here. The new StorSimple 8000 series arrays come in two flavors to meet a variety of capacity and performance needs: the StorSimple 8100 and the StorSimple 8600, which you can read about here. 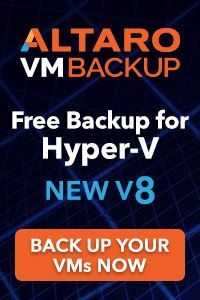 These are enterprise hybrid storage arrays with a twist – instead of being limited to only SSDs and HDDs, these arrays use Azure Storage as a hybrid cloud tier for automatic capacity expansion and off-site data protection. That means IT teams don’t have to spend so much time and effort working on the next inevitable storage capacity upgrade or managing the complex details of data protection. 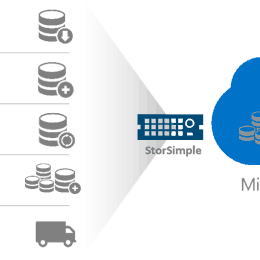 Data stored on StorSimple 8000 series arrays is automatically protected off-site by cloud snapshots, which fill the enormous gap between problematic tape solutions and costly remote replication solutions. To go with the new arrays, there is the Microsoft Azure StorSimple Virtual Appliance, which is an implementation of StorSimple technology running as an Azure virtual machine in the cloud. With a matching Azure StorSimple virtual machine, StorSimple 8000 series customers can run applications in Azure that access snapshot virtual volumes in the cloud. Customers will be able to run new applications that search and analyze historical datasets without disrupting production work in their datacenter. 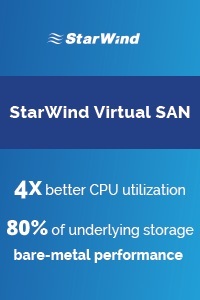 This new StorSimple Virtual Appliance not only works for data from Windows Server and Hyper-V, but on-premises Linux and VMware servers, as well, providing hybrid cloud capabilities for the most common server platforms today. The Virtual Appliance also enables disaster recovery (DR) in the cloud. 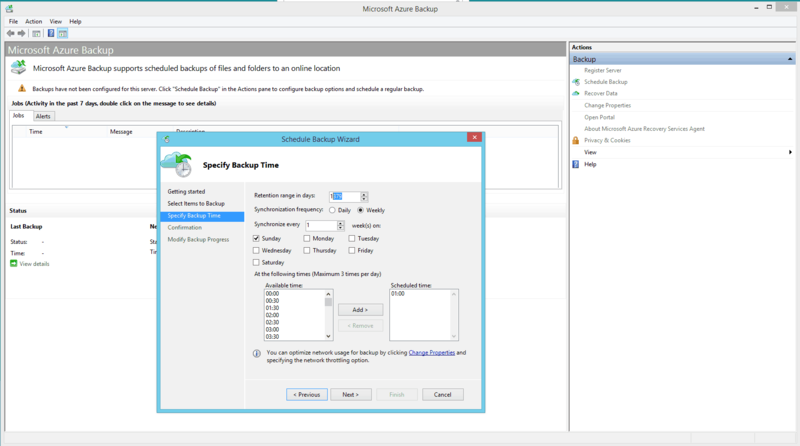 Virtualized applications that store their data on an Azure StorSimple array in a customer’s datacenter can be restarted in VMs in Azure with access to previously uploaded data. Updates to data made during recovery operations can be downloaded later to StorSimple arrays on-premises when normal operations resume. DR is an area of concern for many customers and they seldom get a chance to test their abilities. Microsoft Azure StorSimple 8000 Series arrays and Virtual Appliances have a feature called Instant Recovery, which presents synthetic, full images of virtual volumes in Azure to applications and end users so they can start accessing data as soon as possible after a disaster. Instant recovery accelerates restores and DR testing by only downloading data that is needed and bypassing data that isn’t needed. Another groundbreaking capability in this release is the Microsoft Azure StorSimple Manager, which consolidates management for all of a customer’s Azure StorSimple 8000 series arrays and Virtual Appliances. Administrators use the Manager to centrally control all aspects of StorSimple storage and data management from the cloud, so they can ensure consistent operations and data protection/retention policies across the enterprise. The new StorSimple Manager also gives administrators a dashboard with up-to-the-minute status and reports so they can quickly spot storage troubles and trends and allows the IT team to spend less time on storage infrastructure management and shift resources to business applications. StorSimple customers have been seeing the financial and IT efficiency benefits of hybrid cloud storage for years. Now, the Microsoft Azure StorSimple solution brings new innovations to enable even greater operational efficiency, and is a great example of technology developed with a hybrid cloud design point and critical customer needs in mind. If you want to know more about StorSimple checkout my blog about StorSimple Cloud as a Tier and the Microsoft blog post from Takeshi Numoto about the new StorSimple 8000 series.